The annual meeting of the Radiological Society of North America (RSNA) came to an end in Chicago today and yet a company that’s developed a breakthrough imaging technology was nowhere to be seen. 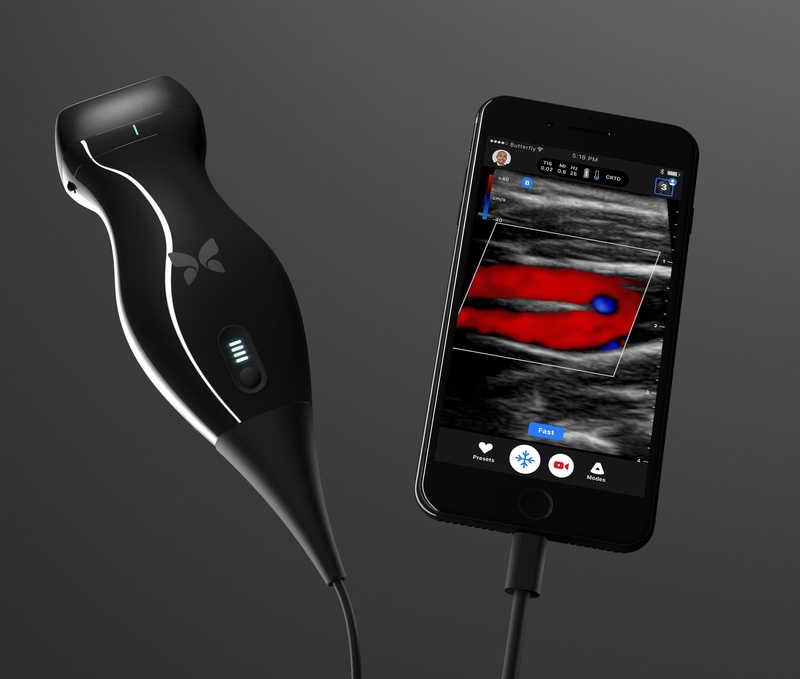 The Butterfly Network, which recently received FDA approval for its inexpensive ultrasound probe that connects to an iPhone, has spent $100 million and taken six years to develop its iQ device. The man behind this smart system is Jonathan Rothberg, an entrepreneurial engineer best known for inventing the world’s first DNA sequencer on a chip. Conventional ultrasound employs piezoelectric crystals that convert electrical energy into ultrasonic waves – vibrations – and the transducer serves as both transmitter and receiver. These systems suffer from two drawbacks: first, separate probes are required for different clinical applications; and second, a conventional probe requires a multitude of wires to connect the piezoelectric transducer to its electronic control system. In the iQ, the piezoelectrics have been replaced by a capacitive micromachined ultrasound transducer (CMUT) that acts as a tiny drum to generate the vibrations. Rothberg and his team have taken advantage of the mass-market fabrication techniques for computers to develop their “ultrasound on a chip” (seen at left). He says, “We put all the elements onto a semiconductor wafer, then we dice up the wafer to make 48 ultra low-cost ultrasound machines.” The company plans to sell the iQ – that has been cleared by the FDA for 13 clinical applications, including breast imaging – for just $2,000, which means its patented technology has the potential to disrupt the point-of-care market. In addition to its portability and attractive price, the iQ’s other major selling point is its application of artificial intelligence (AI) for both image acquisition and analysis. The engineers at Butterfly have trained the iQ’s software on large datasets of ultrasound images so that the system knows the difference between high- and poor-quality images. In addition, the software is able to make simple measurements – such as the ejection fraction of the heart – that will assist a clinician’s diagnosis. 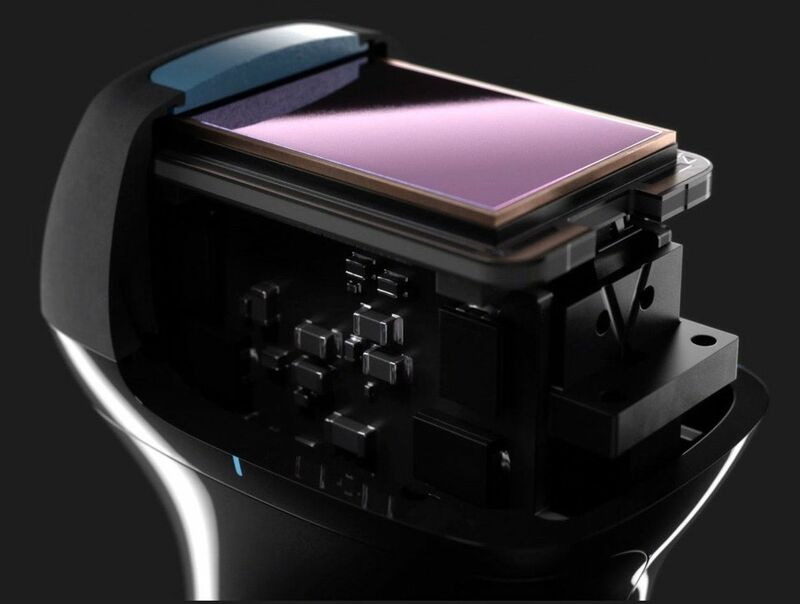 The company anticipates the iQ will be used in rural health clinics in the developing world, where staff may not have the necessary expertise with ultrasound, but in time it could also become a consumer product in the developed world. It is clear the Butterfly Network will have to sell many iQ systems at $2,000 to recoup its initial investment of $100 million. Nevertheless, 2017 may just be remembered as the year that “ultrasound on a chip” made its debut. How can you advise the NDOH to consider this? Or even the WCDOH, as a pilot? Is it affordable and available? Not only is it impressive, but it is elegant in every way! D 3 MAMMOGRAPHY MACHINE, IN ONE PLATFORM?? LIKE YOUR D 2 U S COMBO? Thanks for the positive feedback –as always! – Marian. I do believe both the National and Western Cape Departments of Health could utilise these systems. Even at $2,000, or about R30,000 each, they are considerably less than the competition. Maybe CapeRay could explore the possibility of becoming a distributor for South Africa, or perhaps finding a suitable distributor for the Butterfly Network. Regarding your question, Ian, the thought did cross my mind. Time will tell if this CMUT technology can be readily adapted to our applications such as our combo systems. “Time” will tell if this CMUT technology can be readily adapted to our applications such as our combo systems. WHY NOT ASK THEM, NOW?